Updated 6th August: Jeremy Luke and Joey Russo have just been named for two supporting parts. Jeremy will play loan shark Donnie who is trying to get money from Frankie and Joey will play Joe "Joey" Pesci who helped to create the group. Updated 24th July: Christopher Walken is playing mobster Angelo “Gyp” DeCarlo, who helps the singers keep their career straight early on. According to Variety the leads for the Jersey Boys movie which Clint Eastwood is directing will be mainly cast with actors that have previously appeared in a stage production of the musical. Current names in the frame are John Lloyd Young, Erich Bergen, Michael Lomenda and Vincent Piazza. Warner Bros has approved the four actors as its top choices and if the offers work out and contracts are signed Young would play Frankie Valli, Bergen would play Bob Gaudio, Piazza would play Tommy DeVito and Lomenda would play Nick Massi. 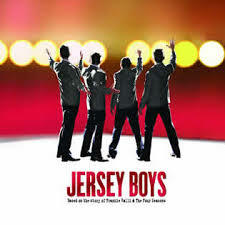 John Lloyd Young is currently starring in Jersey Boys on Broadway: Erich Bergen has appeared in the US touring and Las Vegas productions of the show: Michael Lomenda appeared in the first National Tour with Vincent Piazza the only actor not to to have performed in a version.